Legged robots pose one of the greatest challenges in robotics. Dynamic and agile maneuvers of animals cannot be imitated by existing methods that are crafted by humans. A compelling alternative is reinforcement learning, which requires minimal craftsmanship and promotes the natural evolution of a control policy. However, so far, reinforcement learning research for legged robots is mainly limited to simulation, and only few and comparably simple examples have been deployed on real systems. The primary reason is that training with real robots, particularly with dynamically balancing systems, is complicated and expensive. 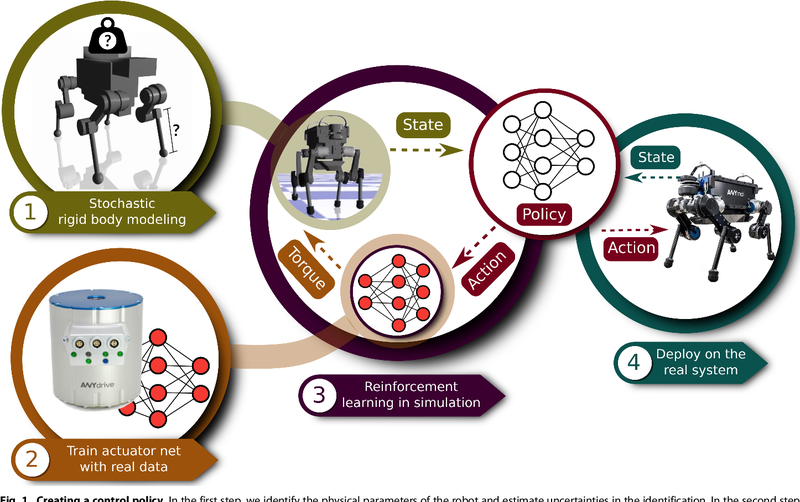 In the present work, we introduce a method for training a neural network policy in simulation and transferring it to a state-of-the-art legged system, thereby leveraging fast, automated, and cost-effective data generation schemes. The approach is applied to the ANYmal robot, a sophisticated medium-dog-sized quadrupedal system. 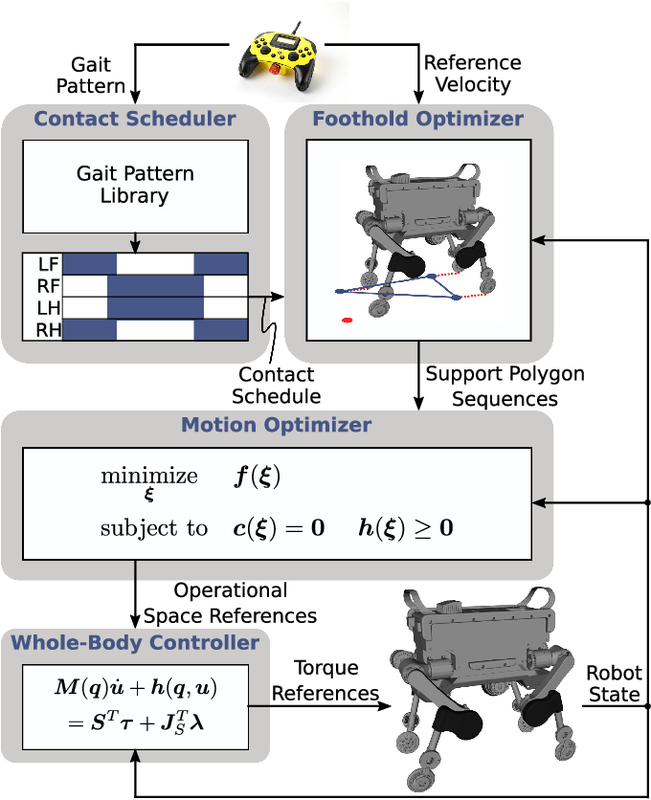 Using policies trained in simulation, the quadrupedal machine achieves locomotion skills that go beyond what had been achieved with prior methods: ANYmal is capable of precisely and energy-efficiently following high-level body velocity commands, running faster than before, and recovering from falling even in complex configurations. 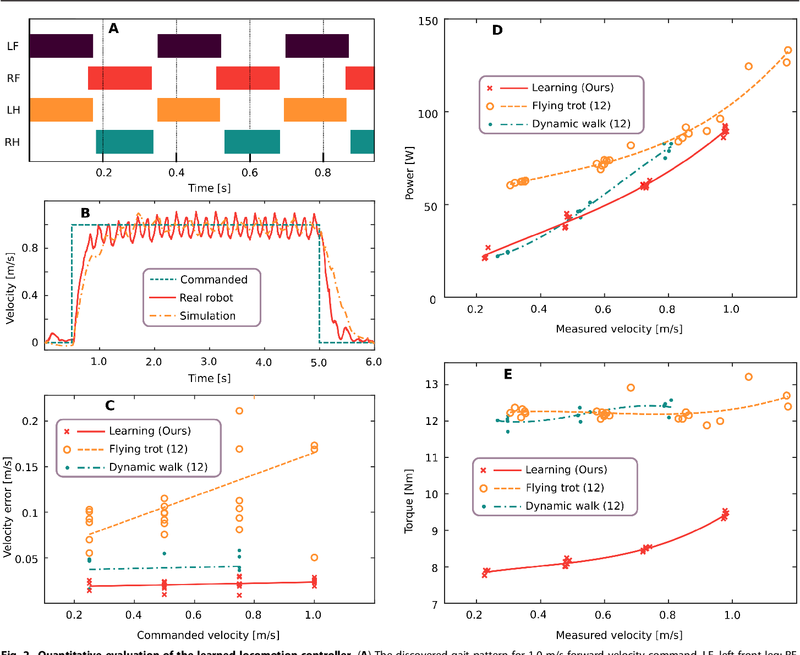 We show dynamic locomotion strategies for wheeled quadrupedal robots, which combine the advantages of both walking and driving. The developed optimization framework tightly integrates the additional degrees of freedom introduced by the wheels. Our approach relies on a zero-moment point based motion optimization which continuously updates reference trajectories. The reference motions are tracked by a hierarchical whole-body controller which computes optimal generalized accelerations and contact forces by solving a sequence of prioritized tasks including the nonholonomic rolling constraints. 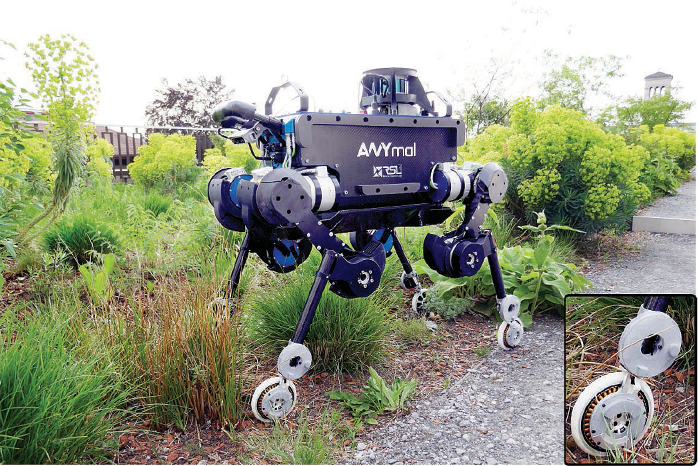 Our approach has been tested on ANYmal, a quadrupedal robot that is fully torque-controlled including the non-steerable wheels attached to its legs. We conducted experiments on flat and inclined terrains as well as over steps, whereby we show that integrating the wheels into the motion control and planning framework results in intuitive motion trajectories, which enable more robust and dynamic locomotion compared to other wheeled-legged robots. Moreover, with a speed of 4 m/s and a reduction of the cost of transport by 83 % we prove the superiority of wheeled-legged robots compared to their legged counterparts. The proper handling of 3D orientations is a central element in many optimization problems in engineering. Unfortunately many researchers and engineers struggle with the formulation of such problems and often fall back to suboptimal solutions. The existence of many different conventions further complicates this issue, especially when interfacing multiple differing implementations. This document discusses an alternative approach which makes use of a more abstract notion of 3D orientations. 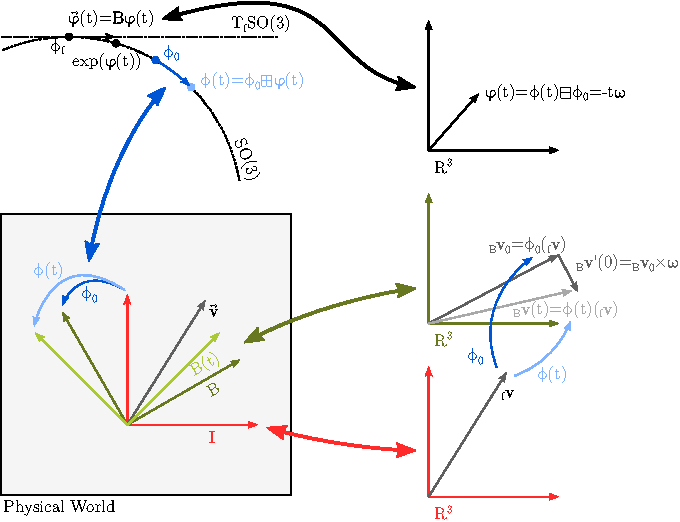 The relative orientation between two coordinate systems is primarily identified by the coordinate mapping it induces. This is combined with the standard exponential map in order to introduce representation-independent and minimal differentials, which are very convenient in optimization based methods.